ARTIFACT: Beautiful, minty, 1941 Portsmouth, New Hampshire Badger Farms Creameries milk bottle. The front reads: BADGER FARMS CREAMERIES in orange painted detail and above reads: ONE QUART LIQUID. 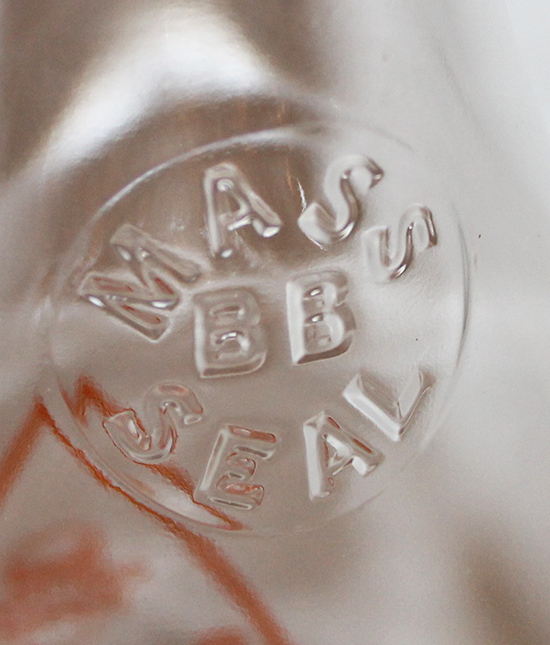 The neck of the bottle shows a round embossed seal that reads: MASS BB SEAL. 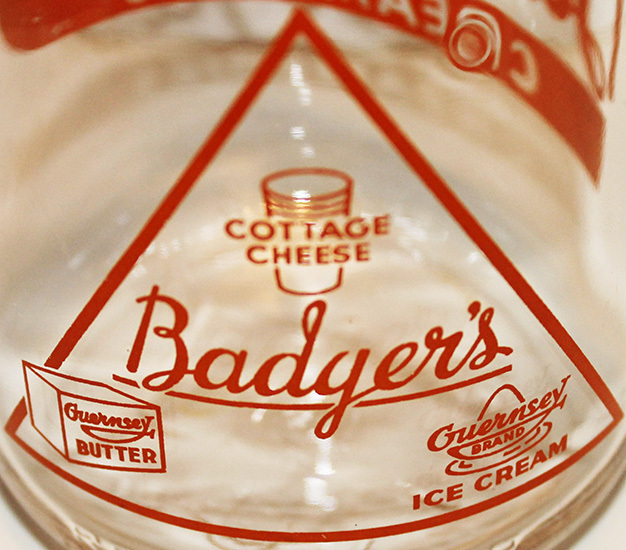 The reverse of the bottle reads: BADGERS and is surrounded by three images, a cup that reads: COTTAGE CHEESE, a box that reads: GUERNSEYS BUTTER, and a bowl of ice cream that reads: GUERNSEYS BRAND ICE CREAM all detailed in orange paint and the base reads: REGISTERED 5 B. 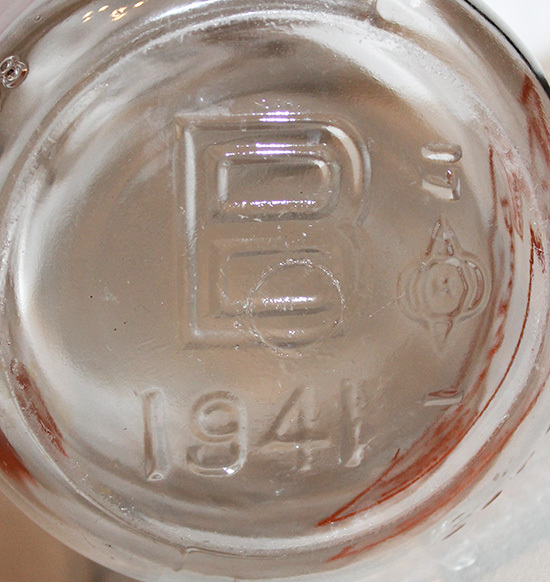 The bottom of the bottle shows a large letter B and the date 1941 in embossed detail, also a maker or bottlers mark with the number 17 on one side and 1 or I on the other. 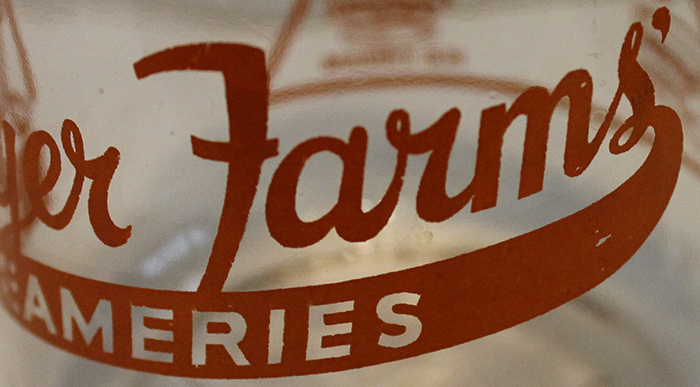 Established in 1877, Badger Farms Creameries initially pasteurized milk for local farms and then later began to produce and deliver dairy foods and milk. 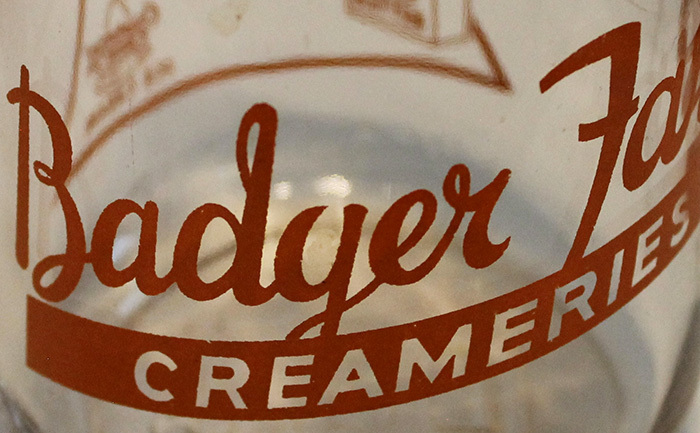 Portsmouth was not the only plant that Badger Creameries owned, there was also one in Newbury, Massachusetts and until milk delivery collapsed, the company ran hundreds of trucks that delivered all over the Seacoast. The creamery was on the corner of Bow and Daniel St., now a parking lot near St. Johns Church. 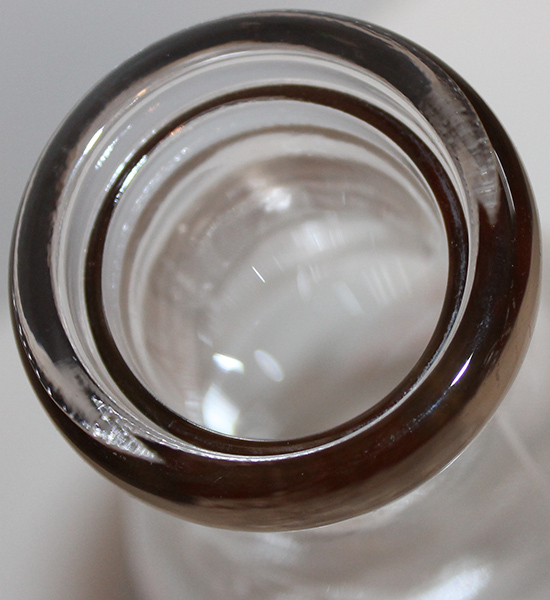 CONDITION: 9- (Excellent+): The bottle shows minor wear, nearly all the painted details remain intact, bottle is in minty condition.